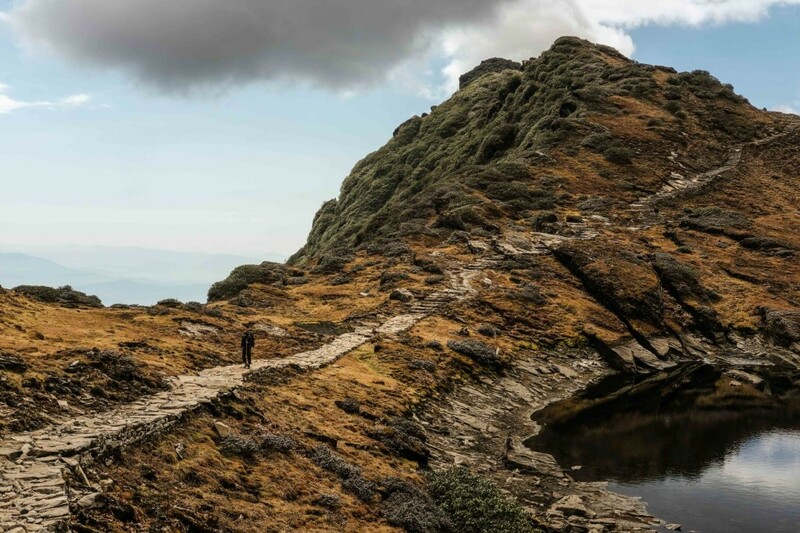 I have done a fair amount of trekking in Nepal, from the blue waters of Lake Rara to the beauty of the Annapurnas and the heights of the Kumbu region. Once I had been to the obligatory “tourist areas”, I was searching for more remote places. 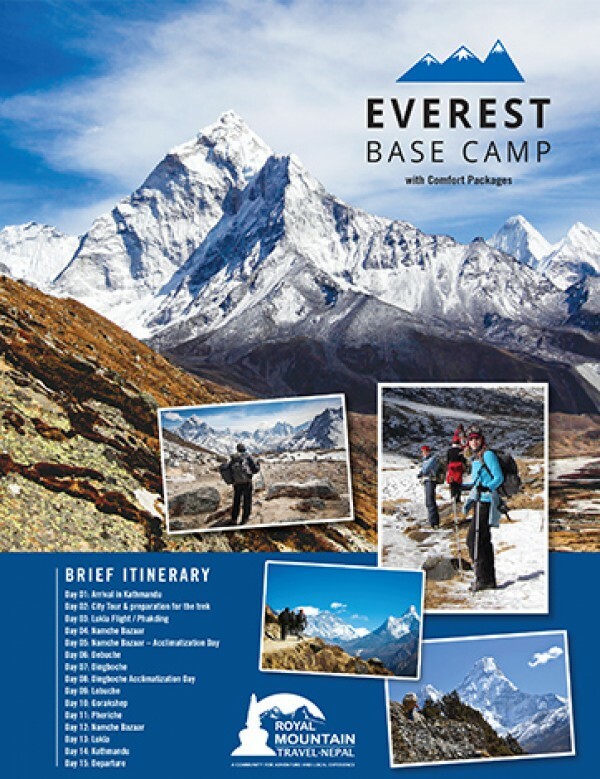 In my research I stumbled upon a very exciting trek: the Makalu Basecamp Trek. 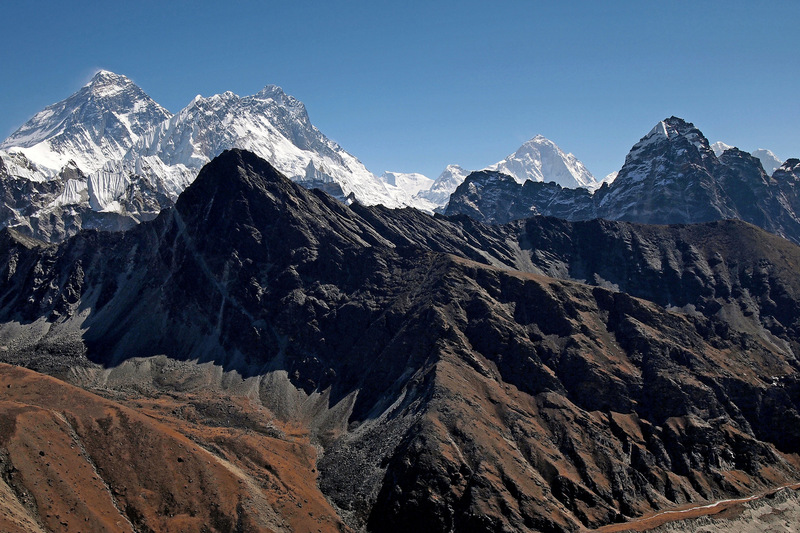 Makalu (8,481 metres) is the world’s fifth-highest mountain, located to the east of Everest. 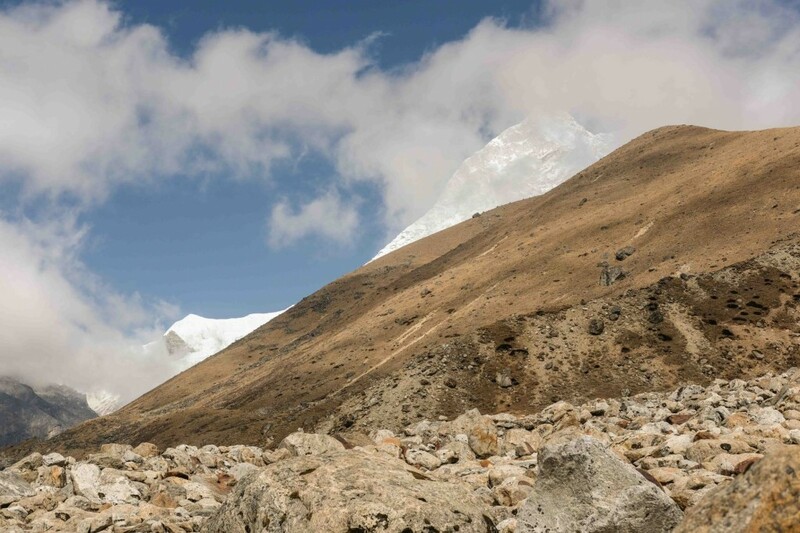 The Makalu Basecamp Trek is a fantastic trek that leads you through all of Nepal’s climate zones, from the Terai to the alpine highlands. The trek starts from Tumlingtar in the east of Nepal. You can either fly directly to Tumlingtar or take the bus. 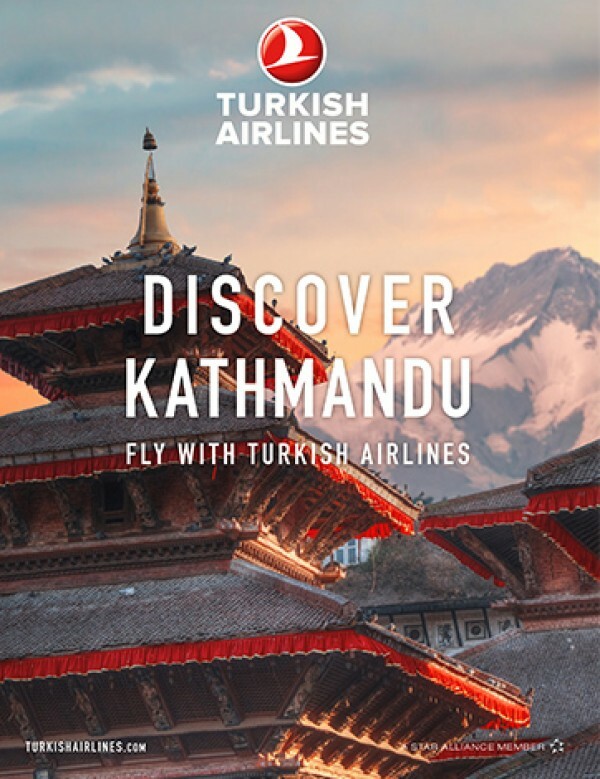 In our case, we travelled there by bus: a tough 30-hour ride from Kathmandu to Dharan and then from Dharan to Tumlingtar. It is an experience in itself and something I would recommend everyone to do at least once in their life. The next day we took a local Jeep from Tumlingtar to Num, the starting point of the trek. You could also walk to Num, which would add an additional two days the trek itinerary. The trek itself is well marked, with a lot of stairs. We definitely underestimated how exhausting this trek would be. Crossing the passes will lead you up to over 4,000 metres really quickly, and once you are on the other side, there is no easy way to descend. Acclimatization is key and should be taken very seriously. We witnessed several people being flown out by helicopter. The trek only opened as a teahouse trek in 2016; before that you had to bring your own tents. The locals seem to be expecting many more tourists to come once they find out about this trek in the coming years. The main ethnic groups you will encounter in this region are Rai, Gurung and Sherpa people. People are genuinely interested in their guests and we encountered amazing kindness and hospitality. 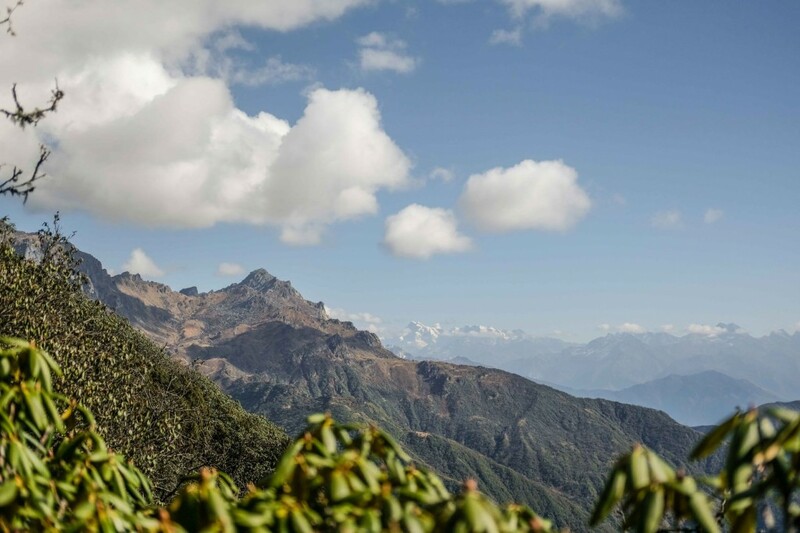 The final destination is Makalu Basecamp, from where you can ascend further to a viewpoint at 5,300 metres. From there it is possible to see Mt. Everest, Makalu and Lhotse. I was leading an expedition with close friends, and one of us got so exhausted and ill that I decided to turn back on the last day, half way to Basecamp. Luckily, right before we started back, the fog cleared and we could got a good view of Mt. Makalu. If you are looking for a great trek with few tourists, amazing nature and spectacular views, Makalu has got it all. The following itinerary is a good place to start. Nevertheless, I advise everyone to do their own research and acclimatize according to their own physiology. 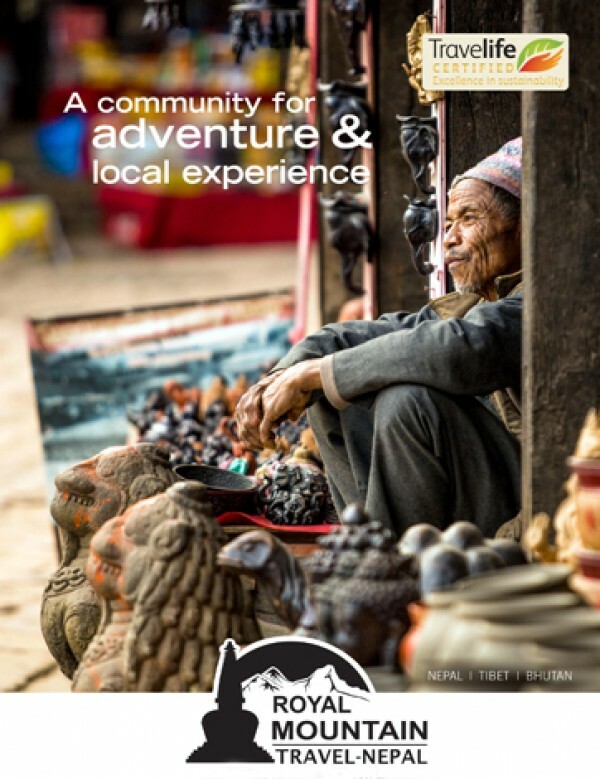 A guide and porters are highly recommended as this is a vast region with a lot of unknown trails. Day 2. Num to Seduwa (1,530 m: A 5-hour walk that leads you down the valley, over a bridge, through beautiful rice terraces and up to Seduwa. Day 3 Seduwa to Kharak (~3,100 m): A beautiful 3-hour hike through a rainforest will lead you to a brand new guesthouse run by a young lady, with a lovely viewpoint right behind the house. We stayed here instead of staying one day in Kongma. Day 4 Kharak to Kongma (3,560 m): It will take you around 3 hours to Kongma, the last place before you cross the four passes. Many people take a rest day here to acclimatize, but since we divided the way from Seduwa to Kongma, we only stayed one night. Day 5 Kongma to the new guesthouse (3,800 m): One of the toughest days of the trek, you will have to cross four passes as high as 4,100 m. There is a single tea house up on Salpani col, which might or might not be open. There is a new guesthouse that you will not find on maps yet. It is situated between Keke La and Mumbuk (6-7 hours). Day 6 New guesthouse to Yangri Kharka (3,610 m): Once over the passes, you enter the Barun Valley, one of the most diverse places. A slippery trail will lead you through a beautiful rainforest down to Yangri Kharka, where we stayed for the night. The teahouses are also quite new and very well-equipped (4-5 hours). Day 7 Yangri Kharka to Langmale (~4,400 m): Be prepared for the toughest day, which will lead you more than 1,000 m up to Langmale. It took us around 6 hours to get up there. If you’re likely to get altitude problems, it’ll probably be here. There is a teahouse at Yak Kharka that offers tea and soup. 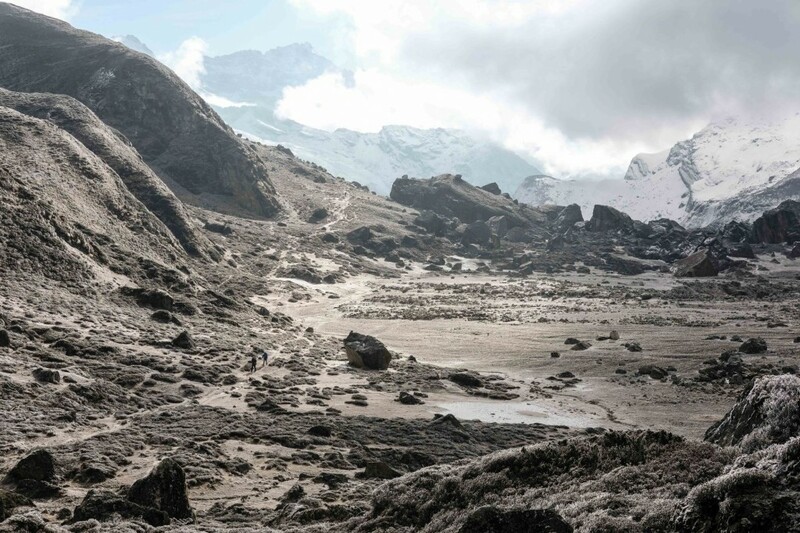 Day 8 Langmale to Makalu Basecamp (4,870 m): The final day! I hope you will make it to Makalu Basecamp, it is a not-too-exhausting 4 hour of moderate trekking. The only problem is the altitude. If you are up for an adventure, cross the glacier moraine to your left and get a view of a beautiful glacial lake. If you have the energy, you could visit the viewpoint. Day 9 Langmale to New guesthouse: Depending on how you feel, the way back can take two to four days. We did it in three days, which is quite exhausting (10 h). Day 10 New guesthouse to Kongma: Tough day back over the passes (6-7h). There are many variations you can add to this trek. A common one is to finish the trek by walking from Seduwa to Tumlingtar, next to the Arun River, which will add another two to thee days. For the extremists, it is possible to cross Sherpani La (~6,000 m) from Basecamp, which will lead you into the Kumbhu region. This is a highly technical crossing that will give you five days’ camping in absolute seclusion.